Samsung has just announced that the Gear Fit 2 fitness band would be available for purchase in more markets such as Australia, Canada, France, Germany and Spain in addition to the USA. Samsung says that the Gear Fit 2 would eventually be available globally. 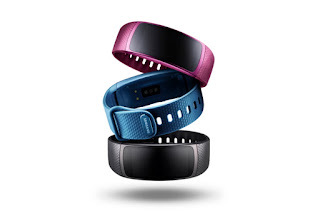 The Gear Fit 2 fitness band unlike the original Gear Fit runs on just about any Android device running at least Android 4.4+ KitKat with 1.5GB RAM. The Gear Fit 2 is available in three colour options - Black, Blue and Pink and two sizes for large (155-210mm) and small ( 125-170mm ) wrists.